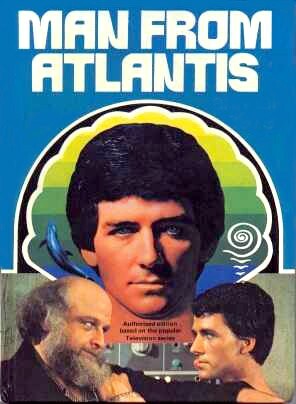 Mark Harris is the lone survivor of the legendary sunken continent of Atlantis. Having adapted to life underwater, Mark possesses webbed hands, light-sensitive eyes, and the ability to swim at low depths in the sea for long periods. He draws strength from water and can overpower most ordinary men. Mark assists an institute for undersea research operated by his human friends, Dr. Elizabeth Merrill and C.W. Crawford, and joins Dr. Merrill in several exploratory missions aboard a high-tech submarine. They encounter several bizarre phenomena, including portals leading to other dimensions, a substance capable of altering personalities, an impish creature whose touch causes a mental return to childhood, and the scheme of a portly millionaire, Mr. Schubert, to melt the polar icecaps. This page has been seen 2575 times.